Did you know that the Great Futures Mentoring Program officially launched 5 years ago today on Thursday, January 16, 2014? Thank you to our collaborations with Oshkosh Area School District, Oshkosh YMCA, ADVOCAP, Junior Achievement, and UW Oshkosh CCDET along with the Self-Sufficiency Project through Oshkosh Area Community Foundation/Basic Needs Fund and Blue Door Consulting, we have been impacting the lives of at-risk youth one mentor at a time. The program was originally started because there was a need to help at-risk youth stay on track for graduation, and to create a plan for after high school. We originally started the program with 6th through 8th grade, and now have grown to 6th through 12th grade. We currently have 72 youth in the program, with 7 youth waiting to get matched with a mentor. Most of the youth are either self-referred or through the Oshkosh Area School District. Youth may join the program because they want to do better in school, improve their social skills, or have someone to talk to. Each youth who joins the program has their own story, and their own reason to be matched with a mentor. In 2014, we loaded up two Club vans and took 18 teens to see 5 post secondary schools in two days. Though we drove a lot of miles, we had a blast. This is one of the trips that I hear members talk about the most! We are looking to plan this trip again this summer, and I cannot wait for some more mentoring youth to have this experience. This past summer one of our matches went to a Sugarland Concert to celebrate being matched for 3 years. This was the teen’s first time ever attending a concert, and they had a blast! One of our current seniors was at a 3rd grade reading level about 2 years ago. He currently is at a high school reading level, and was able to successful take his ACT test last year! Every year for our Mentoring Holiday party we hold a gingerbread house contest. The first year, I was surprised by how many mentees had said they have never built a gingerbread house before. Now it has become a tradition, and many matches plan out what they are going to build each year! Last year, one of our seniors told me and her mentor that she was accepted to Fox Valley Technical and we were the first people she told. She is a first-generation college student! Attending graduation in June to see our seniors walk. One of the seniors came up to give us a hug and said how happy she was that we were there to support her, as her family was unable to make it. At the Club, we do often become additional family to these kids. This past summer I was able to take 8 mentees and 1 mentor to Washington D.C. on a Learning Journey through the Herb Kohl Foundation. This was a once in a lifetime opportunity for these youth, and I am so fortunate that I was able to be a part of it! This program has been successful thanks to all of the volunteer mentors, my liaisons at each school, active collaborators, donors and everyone who has shown support for the program in some shape or form. When I started working for the Boys & Girls Club of Oshkosh in September 2013 we had just received the grant to start the program, and now we have grown so much over these past 5 years. I am so excited to see what the future holds. Seeing 5 seniors graduate in June, 4 of which are planning to go to college and the other will join the workforce. They have already started receiving their acceptance letters! 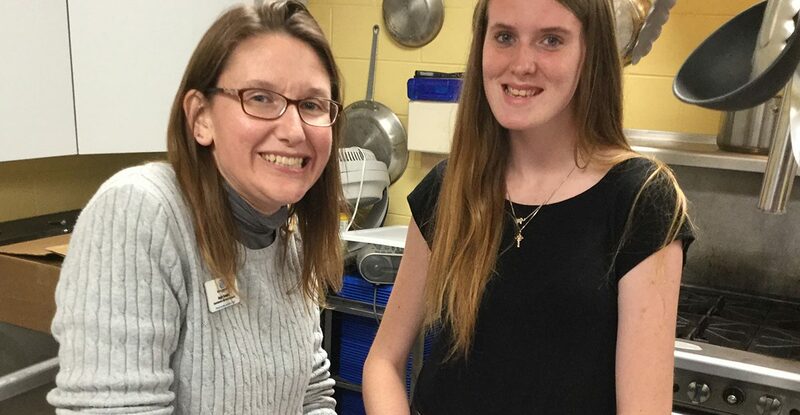 If you are interested in becoming a mentor, or learning more about the program please contact Director of Teen Services, Carlea Liermann, at 920-233-1414 ext. 127 or carleal@bgcosh.org.